In ancient times, you had to visit and stay at the ashrams or meditation centers of the gurus or yogis to learn meditation. These centers were usually located in lush green forests, mountain valleys or the river sides. The reason why these spiritual meditation centers were situated far from the madding city crowds in the lap of raw nature was that this type of environment is conducive to undisturbed meditation. The green and natural surroundings themselves, without the tall concrete buildings and artificial city life, are closer to God. This luxury is no more available now days. There are meditation retreats where you can go, relax, learn and practice meditation. But there are constraints of time and money. It is not possible to say at any meditation retreat indefinitely. Some people do not have time to spend even the weekends at the retreats. Meditation cannot be just a one day touch-and-go process. It is not like instant coffee. In fact there is no instant nirvana as such. In the ancient times the students spent years learning and practicing meditation at the feet of their spiritual masters. Meditation formed an essential part of their educational curriculum and it continued to be an inseparable part of their daily routine throughout their life. Meditation is not one day or one week exercise. It is a life long process. It is as vital as your daily food and drink. If you want to learn and practice under the constraints of the modern life and circumstances, the best course available is to learn and practice it online. You need daily guidance during the initial period of your apprenticeship in meditation. You need some inspiring talks, lectures, demonstrations in practical meditation. You also need music as an initial accompaniment to create an environment that is conducive to concentration which is essential in meditation. All this training and practice is easily available online on daily basis. You do not need any special cds, dvds or separate cd/dvd players etc. There are many sites which offer online meditation lessons and practice sessions. They have mp3 files which can be accessed online. These files contain lectures, demonstrations, music and practice sessions. If you have any doubts and questions for clarification, you can contact the site in-charge or the guide online through chatting sessions or emails. Yet another advantage of online meditation is that the site owners possess huge variety of music files and discourses on meditation which cannot be easily afforded by individuals. A small monthly charge provides you access to the huge resources of the website. Yet another benefit of online meditation is that you can interact with other members of the website and share your problems and practical experiences with them from the comfort of your home. 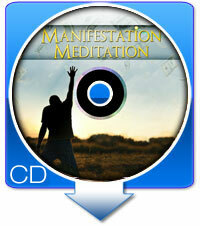 You stay anywhere on planet and can avail clear, straightforward meditation instructions. If you are experienced in meditation, you can benefit by finding new methods and approaches to deepen your practice and widen your knowledge horizons. If you approach a guru or guide of a certain specific belief or faith, you will have to either follow his line of thought or give it up if you do not agree with his philosophy. The online meditation sites understand these individual difficulties. They have devised meditation techniques that suit every individual seeker without interfering with his beliefs. You can meditate even if you are an atheist or a non-believer. But a guru or a guide who follows certain belief system or tradition will expect you to follow in his footsteps in respect of meditation. The online meditation centers offer free meditation news letters daily which support your efforts in meditation by providing step by step instruction. They offer meditation tips and techniques to facilitate the process of meditation. Since these newsletters are sent online, they practically cost you nothing.